This proposed development comprises of a mix of uses in a self contained live, work, play and entertainment environment for 80,000 middle-income residents. 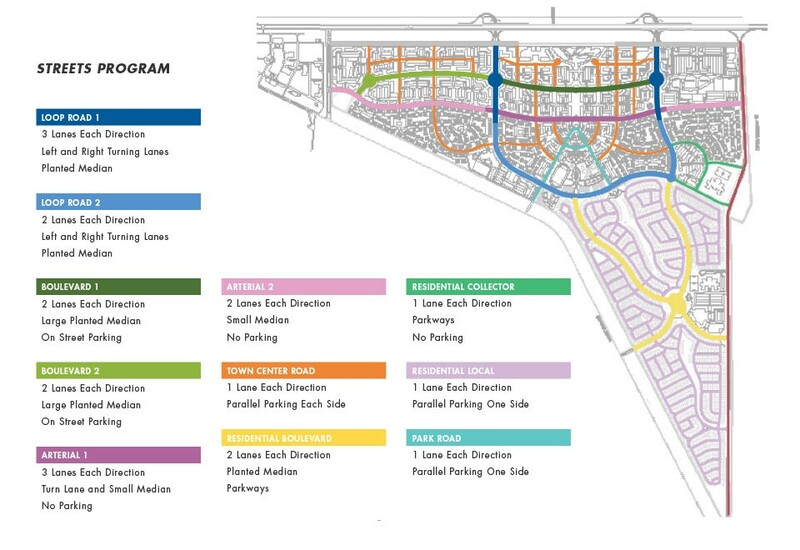 The components encompass residential apartment buildings, town homes, a retail center, offices, a hotel with ancillary convention functions, community amenities and related infrastructure. 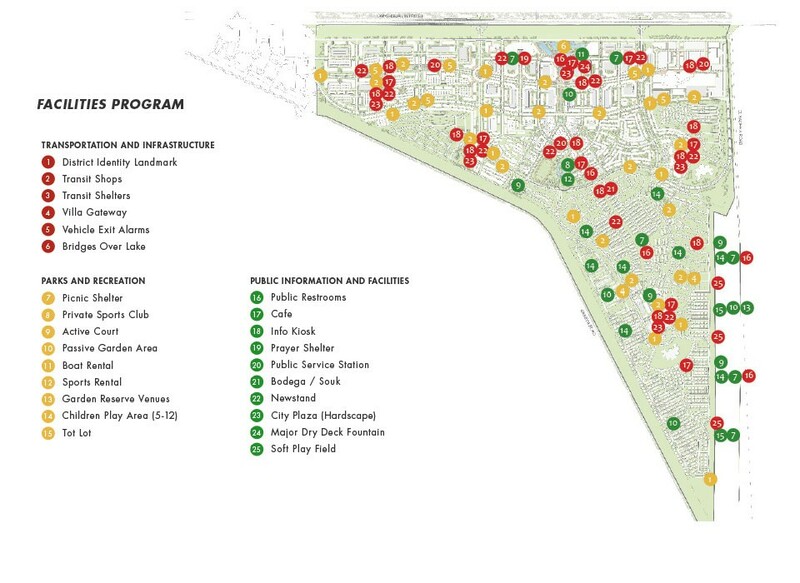 CRJA-IBI Group is responsible for developing landscape plans for the entire new community. 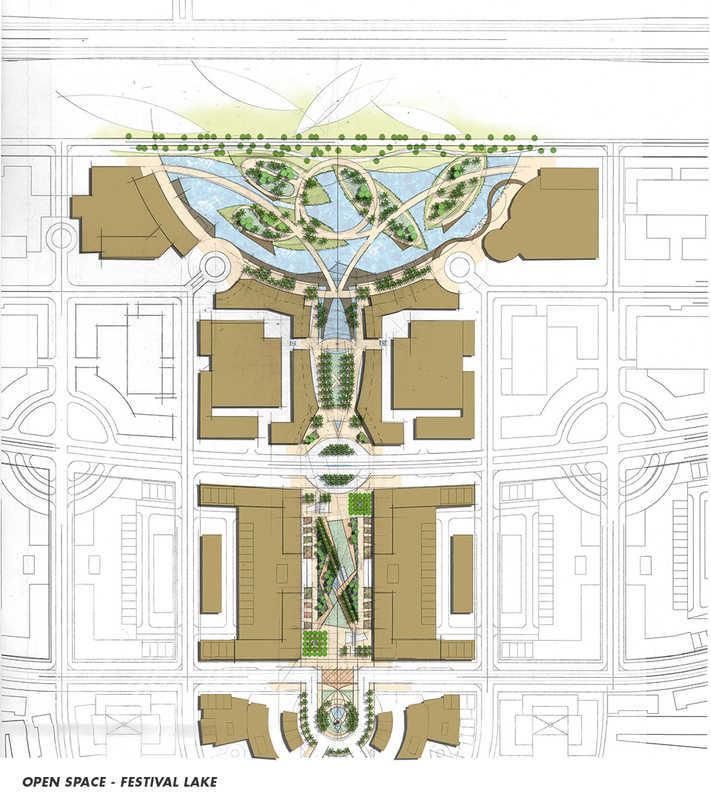 CRJA-IBI Group developed designs for the exterior public common areas of the project, including public ROW areas, medians, perimeter landscape buffers, sidewalks, streets, and public open spaces, and water features. The designs incorporate site microclimate and conservation strategies.